Star Wars: Galaxy’s Edge, the new Star Wars themed amusement park addition to both Disneyland and Disney World, will open May 31 in Anaheim, California and Aug. 29 in Orlando, Florida. CEO Bob Iger announced the opening dates on the annual shareholders meeting, and Disney Parks additionally confirmed the news on Twitter. The theme parks will feature a lifelike journey through the world of Star Wars as visitors travel through a new outpost planet called Batuu. 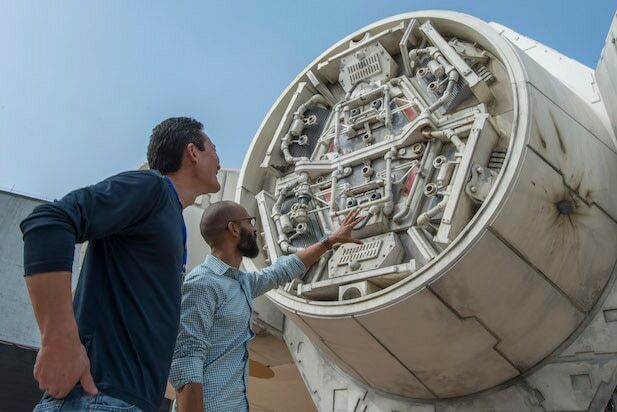 The park features rides including the Millennium Falcon: Smuggler’s Run that’s adorned with a lifesize, 25-foot tall replica of Han Solo’s Millennium Falcon ship. Then there’s the Rise of the Resistance Ride, featuring performances by “Star Wars: The Last Jedi” stars Daisy Ridley, John Boyega, Oscar Isaac and Adam Driver. Further, park visitors can build their own customizable lightsabers and droids. The droids are even capable of interacting with nodes and objects around the park, not unlike the custom wands you can purchase at the Harry Potter World in Universal Studios. And a trip to the park wouldn’t be complete without tasting their blue, rice milk at the Oga’s Cantina, a non-dairy milkshake style drink colored blue or green.